The healthcare industry in the region is at an important juncture of its history. Demand for healthcare in the region has never been greater and is expected to rise even further in the future. Among the factors for this is the aging population of the region. Data from the Asian Development Bank (ADB) shows that by 2050, persons aged 65 and older will make up 15 percent of the Southeast Asian population, tripling the 2010 percentage of 4.8 percent. Furthermore, the population of countries such as Malaysia, the Philippines and Indonesia are expected to go up by 40 percent by 2050. The growing population is also expected to further fuel the demand for healthcare. There is also a shortage of physicians in Southeast Asia. According to World Health Organisation (WHO) data, Southeast Asia has fewer physicians on average, at 0.6 for every 1,000 people, compared to developed economies such as Germany, which has an average of 3.7. The changing demographics of Southeast Asia combined with the problem of understaffed hospitals means that an intervention is due for the healthcare system. The healthcare sector in the region needs to look for innovative solutions to figure out how to be more effective and efficient without spending excessively. This is where technology comes in. The rapid developments in technology particularly in the fields of artificial intelligence (AI) and robotics can help supplement the healthcare industry in the region. Southeast Asia’s high mobile penetration rates and increasing number of mobile users are facilitating the digitalisation of healthcare through the proliferation of mobile apps. A quick visit to the Apple App Store will show that you can find health apps that can do a range of things such as monitor your heartbeat, track your diet and even look at your sleep patterns. On a macro level, countries are realising the importance of technology in healthcare, particularly the use of AI. In Thailand, the Bumrungrad International Hospital has integrated the IBM Watson into their oncology department. The IBM Watson has a processing power of 80 teraflops and can access 90 servers with data storage of more than 200 million pages. The oncology department at Bumrungrad International Hospital is using the IBM Watson to process patient data, medical literature and guidelines to offer personalised treatments to its cancer patients. In Singapore, the Saw Swee Hock School of Public Health and the National Environmental Agency have developed an AI agent that can forecast dengue incidences up to four months ahead. 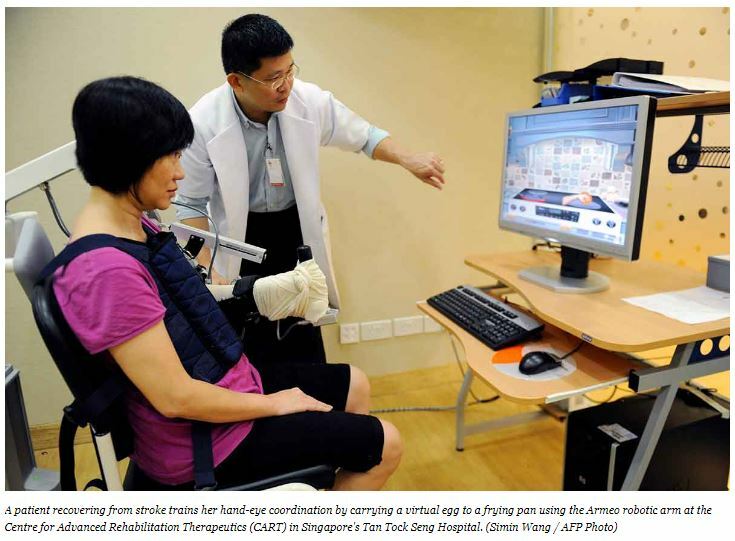 These examples showcase the potential of using technology in the region’s healthcare systems. There’s still plenty of technology under research or yet to be implemented in the region that could completely revolutionise healthcare. For instance, Malaysia is working on the world’s first stethoscope with built in AI system. Companies like Verb Surgical are also making developments in surgical robots. 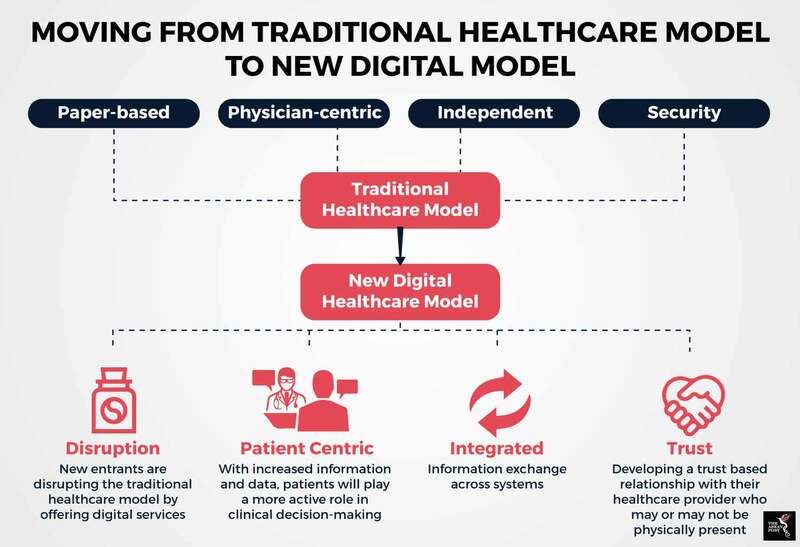 While such technologies might still be out of reach in the region, they serve as a peek into what the future may hold in terms of healthcare. Big companies like Intel, IBM, and Microsoft are also working on AI projects to improve healthcare. It is only a matter of time before their products and technologies reach our shores. However, there are issues when it comes to technology. Computer-aided medical equipment unlike a doctor’s prescription on paper and physical medicines in cabinets can be hacked and manipulated. Since many of these technological innovations involve large amounts of sensitive personal data, there are privacy concerns as well. Patients could be in danger of having their personal information sold or breached by hackers. Another issue to consider is that for some governments or hospitals spending money on new technologies is a zero-sum game. Since many ASEAN countries do not spend much of their gross domestic product (GDP) on healthcare, the worry is that money spent on AI, for example, would take away spending on important necessities such as hospital beds. Spending on new technology should be prudent and only done on a necessary basis. While there are glaring problems in the region’s current healthcare systems, technology should not be seen as a silver bullet. Instead, it should be utilised as tools to help make the system more effective. Anything more than that would realistically require large-scale structural change.